If you follow professional football, you are probably aware that the New Orleans Saints football team came very close to making it to the championship game. A questionable referee call at the end of the game pretty much smashed the Saint’s hopes of winning the game. The last time the Saints were in the Super Bowl was in 2009. They won their first appearance; it was Super Bowl XLIV. Ten years seems like a long time to make a return trip; guess Saint’s fans will have to wait even longer. (As a reference point — Hurricane Katrina was in 2005.) The Saint’s win did alot to help this town regain it’s pride after the hurricane decimated the city. 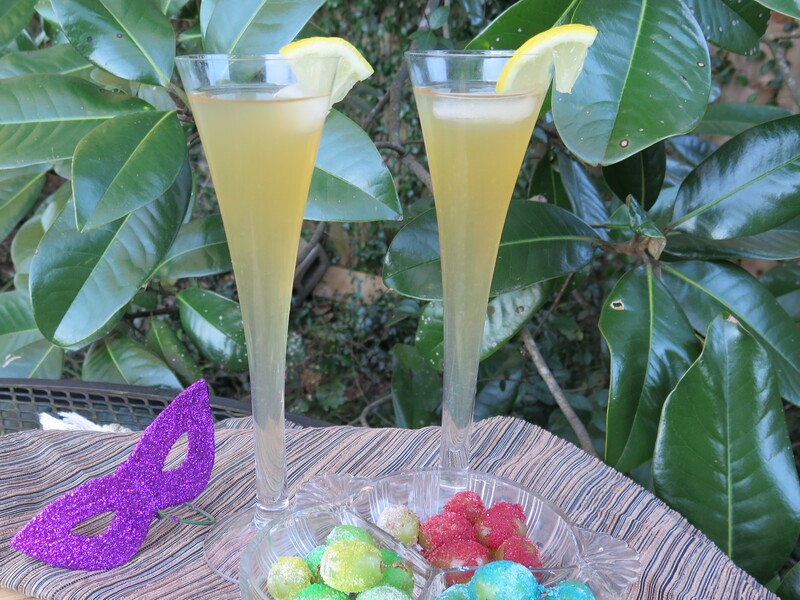 We are still disappointed at this year’s loss and wishing the Saints were going the the final game, so here are my sour grapes recipes. I have to confess that these “Sour Grape Cocktails” are really, really tasty. My preference is for fruity, tart mixed drinks that don’t taste like hard liquor. The proportions in the recipe are just right and the drink packs some punch. I’m not a bartender or mixologist and rarely make cocktail drinks at home. It is easier just to open a bottle of wine or can of beer. So my skills in making cocktails is rather limited. Equipment? I don’t own a jigger, shaker, strainer, bar spoon or muddler; not even cocktail glasses. But I followed along with the recipe’s instructions from liquor.com and improvised with my kitchen equipment. The result is a deceptively smooth mixed drink. Easy to drink more than one of these. 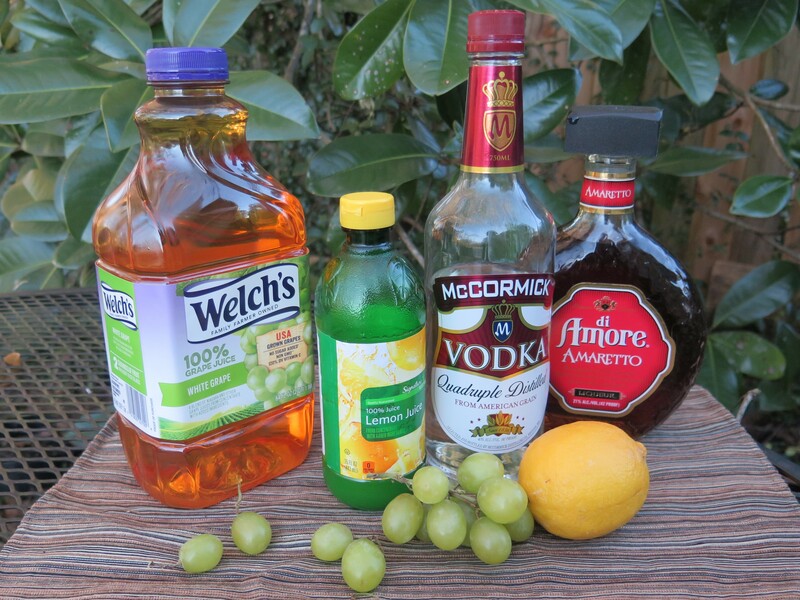 Here are the ingredients: Welch’s white grape juice, lemon juice, vodka and amaretto liqueur. Amaretto is a sweet, Italian liqueur which has the flavor of almonds. According to Wikipedia, the liqueur is often made with apricot or peach stones rather than almonds. In any event, the liqueur adds an interesting flavor to the drink. To make the cocktail, pour all the ingredients into a shaker and add ice. Shake well. I don’t have a shaker and used a tall cup and mixed with a chop stick. 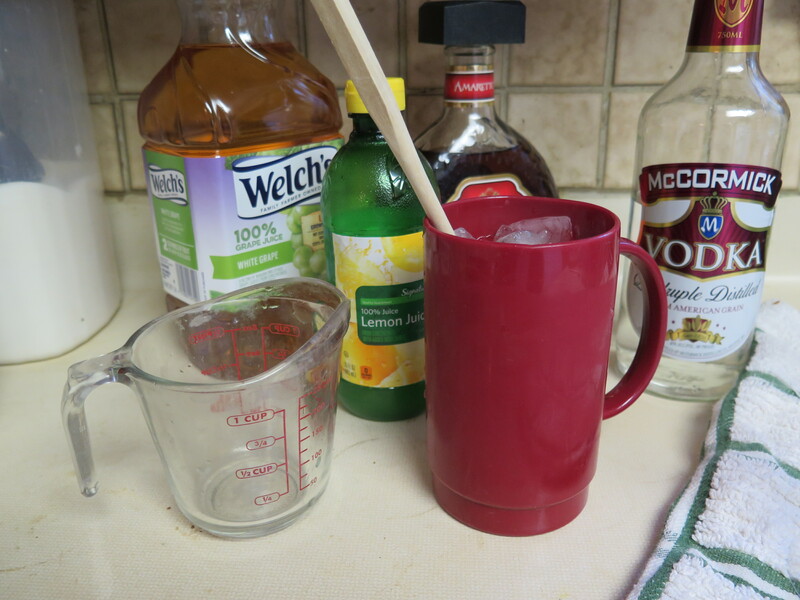 A Mardi Gras plastic cup would also work as well as an ice tea spoon for mixing. Strain into a rocks glass and fill with ice. Cocktails often have pulp of fruit, ice, etc included and need to be strained. I simply decanted off the liquid. . Don’t have rocks glasses either. These tall champagne glasses will work in a pinch. Garnish with a lemon swig. Maybe I’ll invest in some cocktail glasses before Sunday’s game. And to go along with the cocktails, I made sour grapes appetizers. Quite tasty. Healthy, too. To make these little gems, you just need an assortment of instant jello flavors, green seedless grapes and a little patience. Pour about half a bag of each dry, instant jello flavor into individual ziplock bags. 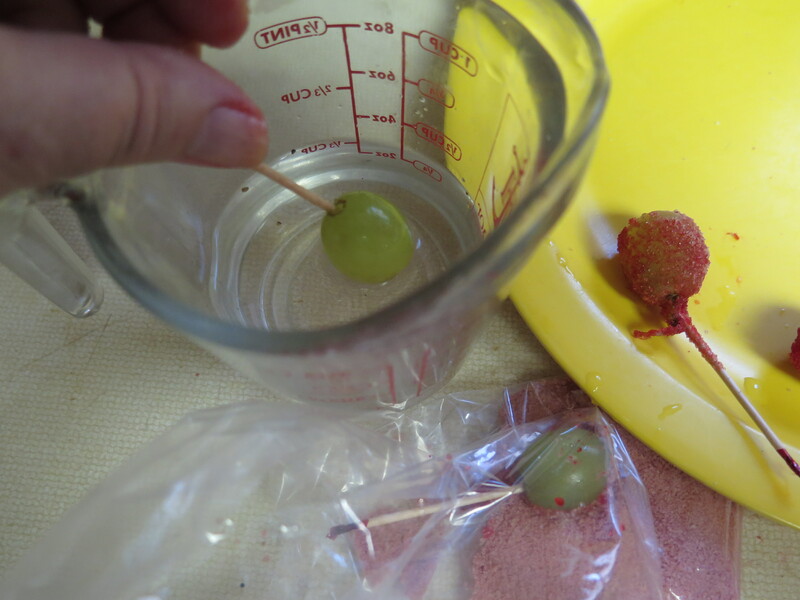 Add a toothpick to each grape, dip water to dampen and then into the dry jello. 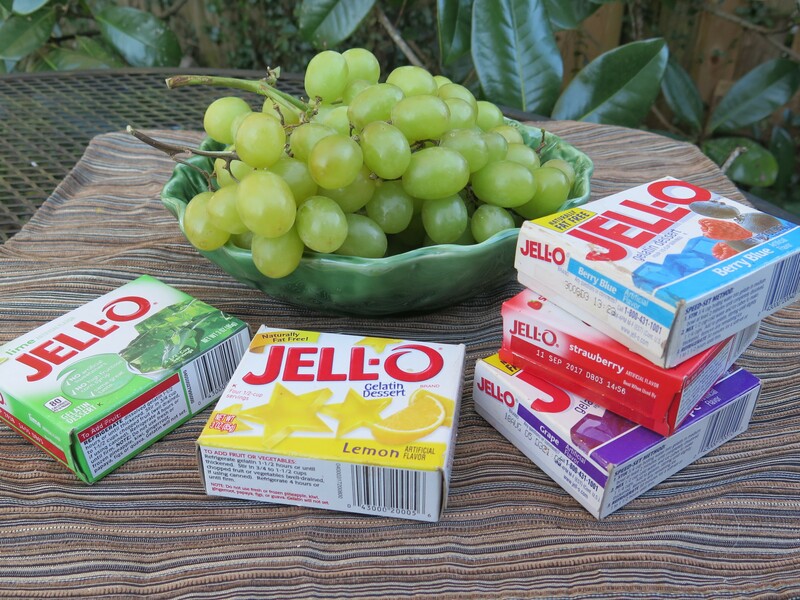 Carefully toss the dry jello over the grape to coat well, remove and let dry on a plate in the refrigerator. The jello does harden — just give it a little time. Remove the toothpick if you like. 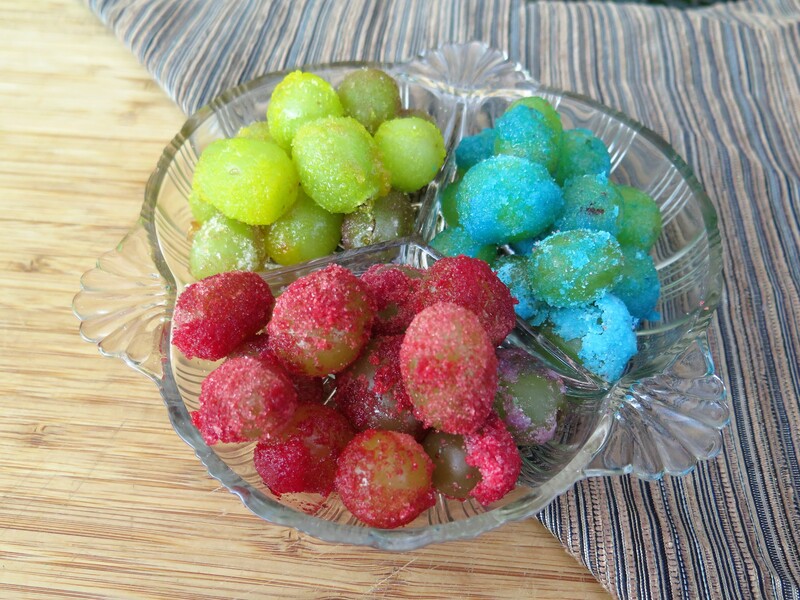 Experiment with flavors of jello and coating the grapes — I could have improved my technique with practice. So whether or not you are watching the Super Bowl this week, think about making a Sunday “treat” of sour grapes and cocktails! I’ve included the measures in common household measures for the non-bartender or cook in the family. Add all the ingredients to a shaker (or tall cup) and fill with ice. Shake or stir well. Strain or decant into 2 cocktail glasses filled with fresh ice. Garnish with fresh lemon wedges. Here’s the recipe for Sour Grape Appetizers. Pour about half a bag of each dry, instant jello flavor into individual ziplock bags. Dip a grape in small cup of water to dampen, shake of excess water and then place into a ziplock bag containing dry jello. Carefully toss the dry jello over the grape to coat well. Remove from jello and transfer to a plate or tray. Refill the ziplock bags with dry jello powder as needed. When all the grapes are coated, place in refrigerator to chill and harden. When ready to serve, transfer to attractive serving bowl. Remove toothpicks, if desired. 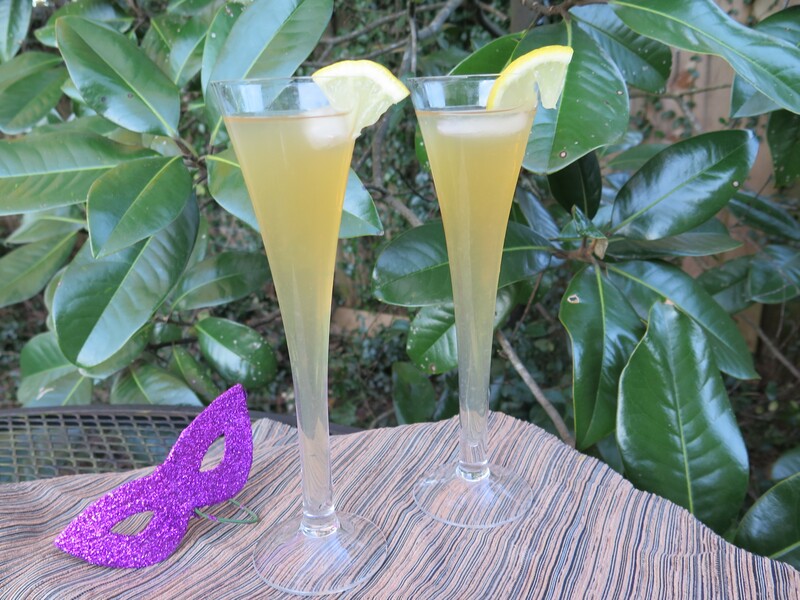 This entry was posted in Louisiana Culture, Recipes and tagged cocktail recipes, grapes, healthy appetizer, sour grape cocktails, sour grapes, Super Bowl by Maylee at Beyond Gumbo. Bookmark the permalink.